FORD TRANSIT CUSTOM 2.2TDCi 290 L2 Lwb High Roof Panel van rear park assist 6 speed manual rear lined Full workshop racking-storage Bluetooth usb port radio cd ,daytime running pas electric windows 3 seats cloth remote dead locking barn doors down turn exhaust unrestricted side door hill assist, Ready for work We know you will be hard pushed to find better !!.... 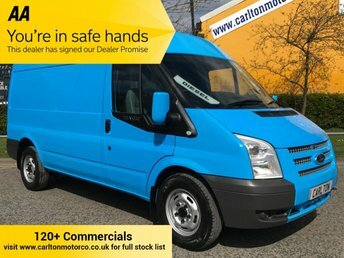 We have one of the best selections Commercial vehicles around 120+ in stock, Cdv vans, Mwb, Lwb, Extended Frame, chassis cab, Tipper, Pickups, Double / Crew cab, T/Lifts, Luton / Boxes, Specialist units, Welfare units, Beavertail, Crane / Swing +T/Lift, Caged+ Refuge bodies, Every effort has been made to ensure the accuracy of the above information but errors may occur. 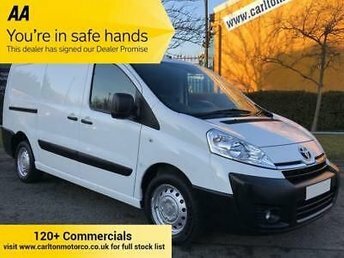 Please check with a salesperson All Our Vehicles Prepared to the Highest Standards also Undergo Pre Delivery Inspection Oil and Filter, Mot if required, Full dealer facilities Low rate finance available The first Dealer to offer Free uk Delivery -WE ONLY GOT BIGGER BY BEING BETTER- # WE LEAD OTHERS FOLLOW # [ We are family owned and run since 1992 ] + VAT Every effort has been made to ensure the accuracy of the above information but errors may occur. Please check with a salesperson.